Use to effectively soak and wash and display silverware. 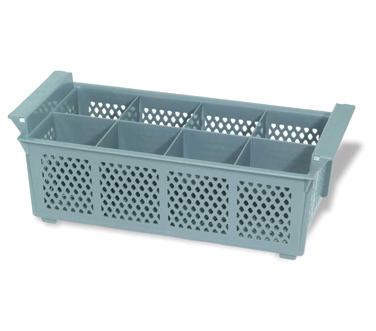 Choose from standard flatware rack or upright baskets, with or without handle. 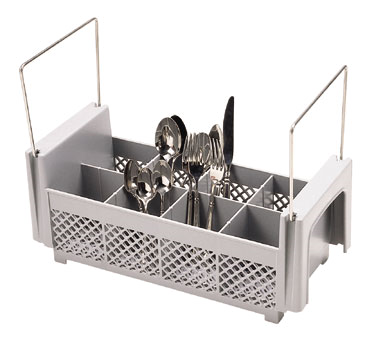 Flatware Cylinder fits into 8-compartment Half Size Camrack and goes from dishwasher to self-serve display. 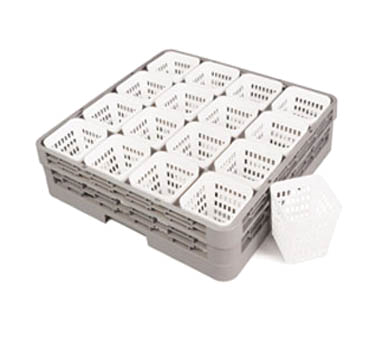 Twelve each of the Cylinders also fit into the Cambro Tray and Dish Cart, model TDCR12. The Cylinder's open design promotes thorough washing and complete drainage. Made of durable, long-lasting polypropylene. Built to withstand chemicals and high temperatures up to 200°F (93,3°C). 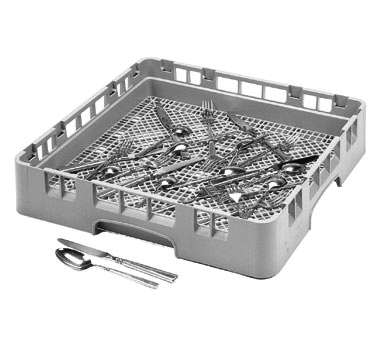 Flatware rack inter-stacks with all other racks and fits through any commercial dishwasher. 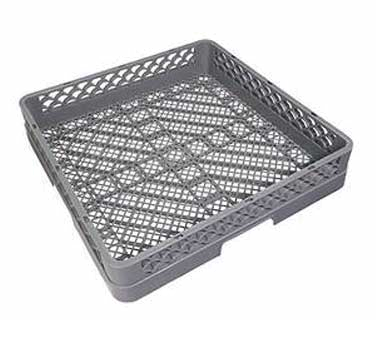 The smooth top rim of each rack ensures smooth and safe stacking. Some items like large outdoor ice merchandisers or very long pizza prep tables may be too large or heavy for a lift gate and will require a truck-level loading dock. If you do not have one, we recommend selecting White Glove delivery. If you are unsure, contact our Customer Solutions Team! RBFS Crestware - Dishwasher Flatware Rack Base 20" x 20"